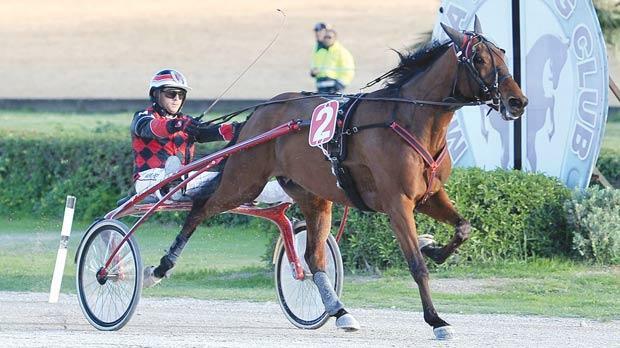 Overtaker By Sib, an Italian eight-year-old newcomer, won the major race – for Premier Class trotters – on yesterday’s card at the racetrack. Sixteen horses took part with Overtaker By Sib, driven by one of its owners – Gozitan Marco Refalo – the fastest trotter at first. This trotter opened a slight lead from Radjah Man (Felix Casha) and Swedish newcomer Jaguar Ruda (Anton Cassar). With a lap to go, Overtaker By Sib was still going strong and went on to complete the race first, unimpeded till the end. The winner was easily two lengths and more ahead of Pedro Vici (Johan Axisa) and Rainbow Dancer (Michael Ellul) at the post. Rickshow (Charles Camilleri), a French trotter also making its debut a Marsa, was fourth. Overtaker By Sib clocked an average time of 1.15.1 per kilometre. The other races in programme were open for Gold, Silver, Bronze and Copper Class trotters. In the first Gold race, Udon d’Occagnes (Tony Demanuele) took the lead with 700 metres to go. However, this French eight-year-old changed pace and got disqualified when the front horses approached the final bend. At the post, it was Cool Caviar (Julian Farrugia) that stormed to victory, a length-and-a-half in front of Solide Du Jayle (Omar Cauchi) and Rubis Du Chanoy (Noel Baldacchino). Pile Ou Face (Joe Schembri) was fourth. A keen duel between Swedish Brigadoon (Rodney Gatt) and Danish horse Sensei (Noel Baldac-chino) developed in the final straight of the next Gold race. Victory went to Brigadoon by a small margin. Midnight Hall (Mario Fenech) and Smarty Jet (Marco Debono) followed home in third and fourth place. Race 1: Copper – Alana (Marvin Cauchi) – 1.18.8”. Race 2: Bronze – Speed Lilium (Brian Hili) – 1.17.4”. Race 3: Copper – Nasdaq Du Closet (Eugenio Zerafa) – 1.17.1”. Race 4: Gold – Cool Caviar (Julian Farrugia) – 1.16.7”. Race 5: Silver – Zizazimoko (1.17.2”). Race 6: Gold – Brigadoon (Rodney Gatt) – 1.15.9”. Race 7: Silver – Neo De Mira (George Muscat) – 1.16”. Race 8: Premier – Overtaker By Sib (Marco Refalo) – 1.15.1”. Race 9: Silver – Saphir Barbes (Charles Camilleri) – 1.16.7”.